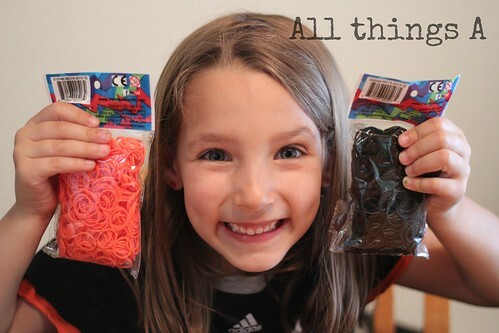 Aubrey: Someone was very excited to get orange and black bands to make Giants bracelets and rings! 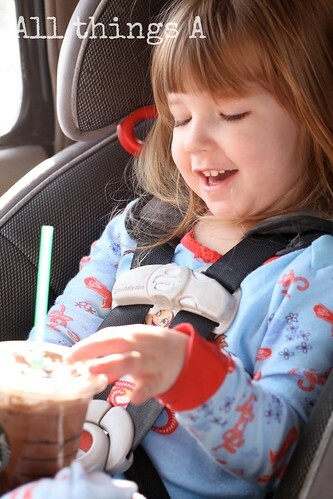 Allyson: First real drink of Starbucks, a chocolate milk! 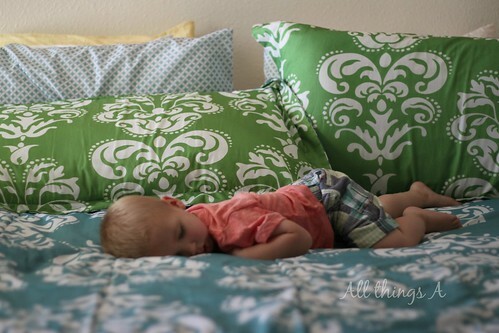 Austin: Is there anything sweeter than a sleeping little one? Root, root, root for the Giants!